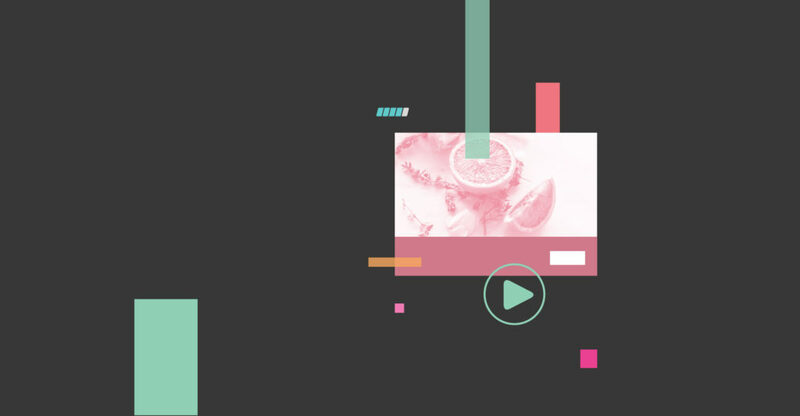 At the end of 2017, when you were busy with your holiday campaigns, we quietly launched our new Facebook video views capability in our Analytics suite. This is data we pull directly from the Facebook API, and a view is defined by Facebook’s standard as a 3-second view or longer. The great part of this feature is that it can be leveraged retroactively, so if you go back to the program analytics of a campaign you ran a year ago with a verified Facebook video post, you will now be able to see how many cumulative video views that post has had across all time. Facebook video was one of our top performing post types in 2017, so we know how important it is to have accurate view metrics! 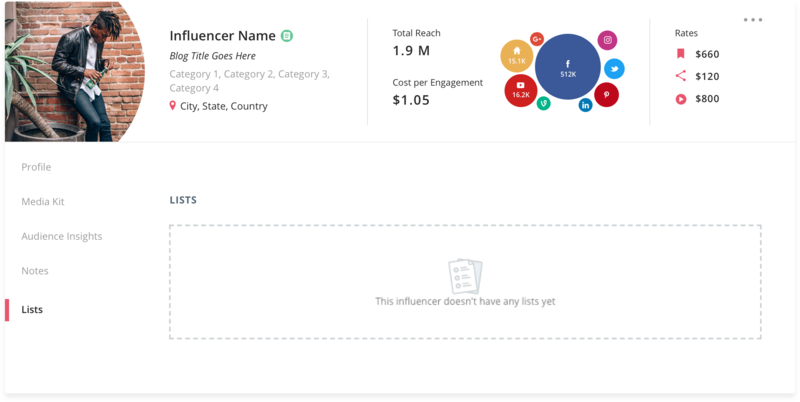 One of our most important features in Influencer Discovery is the ability to search influencers by their audience demographics, affinities, and personalities. 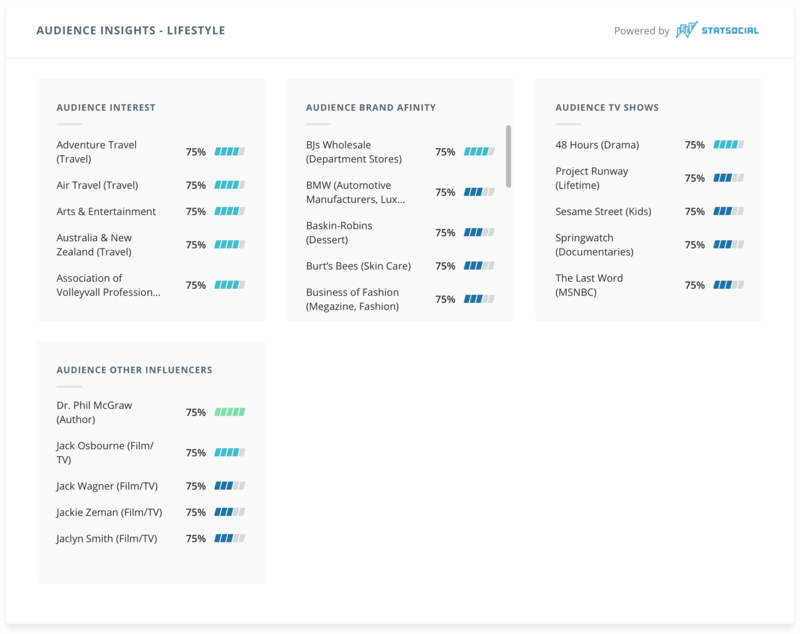 We append our influencer profiles with audience insights data from IBM Watson and StatSocial. Previously, those insights were drawn from analysis of Twitter data only. However, these insights were recently enhanced with new data that is pulled from Twitter, Facebook, and Instagram. This means that the Audience Insights you see on an influencer’s profile today are more accurate than ever before. Also, if you do notice that an influencer’s audience insights have changed a bit since the last time you checked, this is the reason! More and more of our marketers are leveraging Tap as a CRM where they discover new influencers, onboard their own creators, and identify top performers to become ongoing ambassadors for their brands. Many enterprises are managing hundreds of influencers across multiple teams in many locations, and they need to be able to quickly share learnings about each influencer. 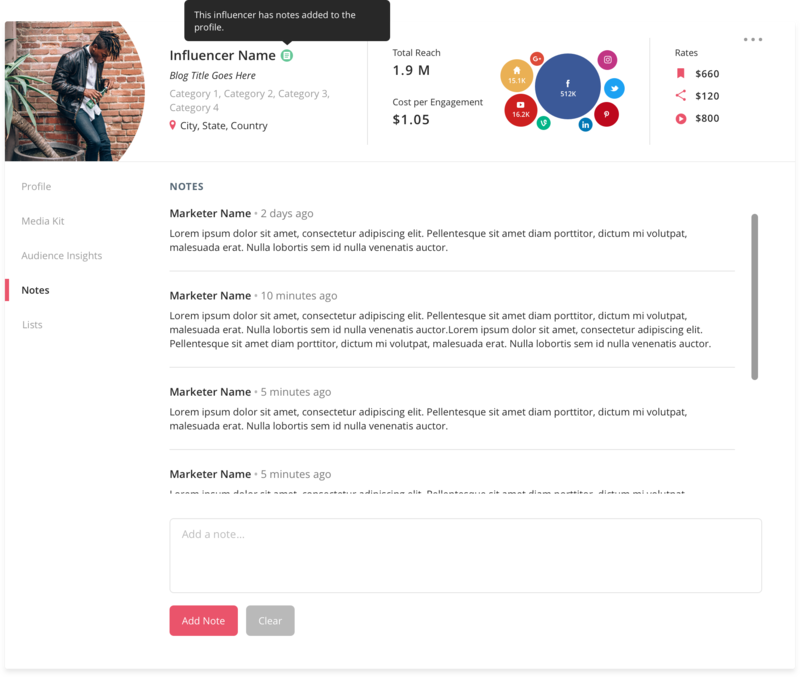 So based on customer feedback, we released the Notes feature, which allows users within an account to log comments, thoughts, and ideas on an influencer’s profile that only other users in that account can see. In addition, you can easily see what lists the influencer is a part of. All notes and lists are private to the users on your account. Security is important to us, so we’ve launched a new state-of-the-art login system. You’ll notice upon signing in to the Tap platform that the login interface looks a little different, and behind the scenes we can identify if you’re using the same password in Tap as you are on other sites. If any of those other sites experience a security breach, we’ll notify you to change your password in Tap as well.